Once the customer has indulged in the novelty of the gesture controlled gaming, they’ll no doubt share this incredible experience with their friends, driving additionalcustomers your way. 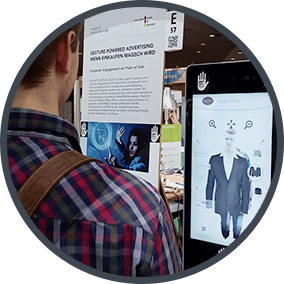 The possibilities of using this technology are endless, and are only limited by your imagination.A little creativity turnsgesture powered games into a lot of profitability. 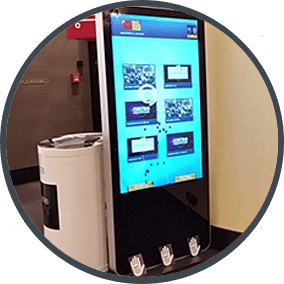 Our interactive marketing solution comes standard as a complete plug-and-play digital stand which you can take almost anywhere your customers are. The portable display only requires a power outlet to function properly, and is also available as outdoor kiosk station.